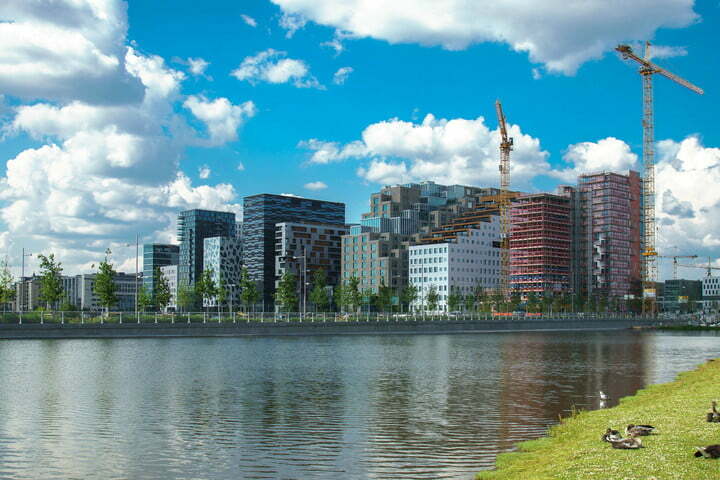 More: If Google built a tech-filled city from scratch, would you move there? To combat this exponential burden, many cities are incorporating the most cutting-edge smart technologies and never-before-tested city planning initiatives. Here are four pioneering efforts currently underway. 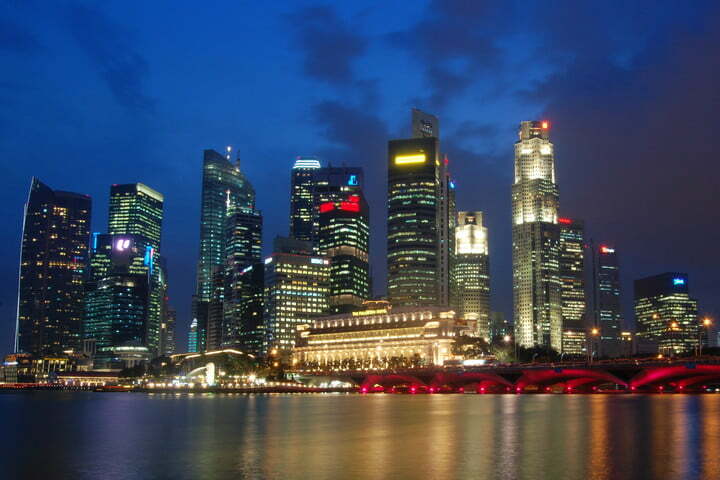 Singapore, the Southeast Asian financial center, is arguably the premier smart city on the planet. Since the Smart Nation program launched in 2014, the city has been at the forefront of the latest city planning technology and policy. The program is based predominantly around a massive network of sensors and cameras deployed around the city. These devices allow the government to analyze everything from traffic congestion to crowd density. This network is far from fully implemented, but authorities are already capable of using these sensors to monitor smoking in prohibited areas as well as littering. This data works in tandem with a digital mapping platform known as Virtual Singapore. This simulator enables the government to see how the infrastructure is functioning in real time. This will allow officials to reroute buses at rush hour, avert traffic jams, and even predict how new buildings may affect wind patterns or communications signals. The government expects to use Virtual Singapore in the future to evacuate crowds in the wake of natural disasters, epidemics, or acts of terrorism. Officials also plan on utilizing in-home sensors to track devices and appliances. These sensors will monitor everything from the number of toilet flushes to air conditioning units for greater energy efficiency. A sensor in a toilet, for example, could track flushes to provide basic insight on a person’s level of activity as an indicator of their overall wellbeing. Additional sensors could monitor real-time water and electrical uses. As opposed to simply looking at total energy consumption, this sensor-enhanced model will give insights into potential water leaks and pinpoint inefficient appliances. This may seem a bit invasive to some; however, the citizens of Singapore have very much accepted this as the new normal. In fact, in the past the government has even monitored citizens’ smartphones to analyze the bumpiness of certain commutes as a means of indicating uneven terrain and potential maintenance issues. A startup known as NuTonomy is working with the city to release 100 driverless cars in the coming months. A fleet of driverless mass transit pods is also in the works. These additions will work in unison with the integrated mapping platform to further fine-tune this transforming metropolis. With vast overhauls to its infrastructure, the Catalonian capital arguably rivals Singapore as smartest city on earth. More than 300 miles of fiber optic cable serves as the backbone for this grid. Officials use this network to provide citywide Wi-Fi. There are roughly 700 Wi-Fi hotspots within Barcelona, with a maximum distance of just 328 feet between hotspots. 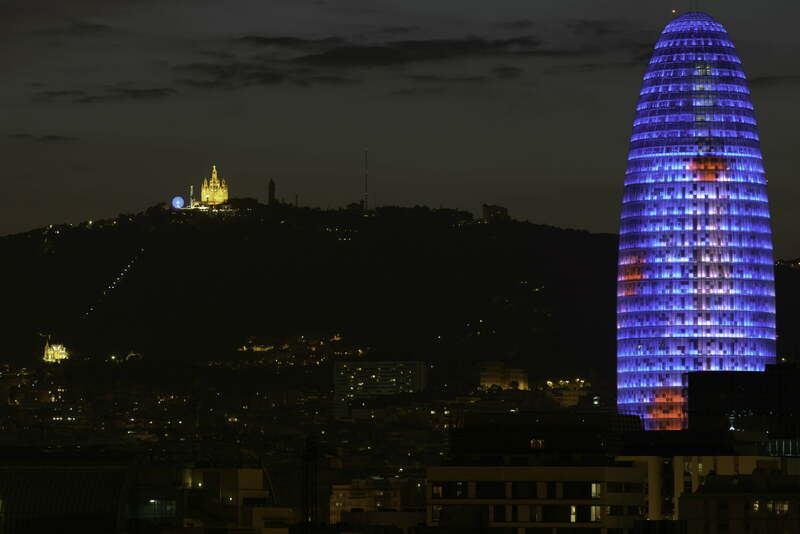 Barcelona has also installed wireless LED street lights to reduce energy usage. Each street light also doubles as a Wi-Fi hotspot for added functionality. These units run on timers and motion detectors and are expected to reduce the national municipal electrical costs by one-third. Spanish officials are currently attempting to rework the flow of automobiles with the lofty ambitions of reducing traffic by 21 percent over the next two years. This goal is key to the nation’s Urban Mobility Plan. This model focuses on the idea of “superblocks.” The plan is to move high-speed motorized traffic to the perimeter of the city and consequently open up the interior portions of the capital for pedestrian-friendly public space. As part of the overhaul, officials plan to add 124 miles of bicycle paths and construct more accessible bus stops to promote public transit use, walking, and cycling. A revolutionary smart parking system uses asphalt-embedded sensors to guide motorists to available parking via an app. This helps streamline the process and further reduces congestion during peak traffic hours. A major facet of this smart city is a direct response to the unprecedented drought the country faced in 2008. During this period, Spain was forced to import water. To prevent this situation from happening again, the government has designed a network of ground sensors to regulate irrigation relative to forecasted rainfall estimates and temperatures. These sensors then adjust the city’s sprinkler systems and fountains for efficiency. These systems have allowed Barcelona to increase water conservation by 25 percent, saving the city approximately $555,000 per year. The government has open-sourced this software platform on Github to allow city planners from around the globe to analyze the data from this smart grid and potentially implement these same ideas and models in their own jurisdictions. Oslo has been at the forefront of citywide smart technologies for years. Sustainable energy consumption is a major component of any progressive city planning strategy. While most cities simply burn through cheap non-renewable energy resources, Oslo instead relies on garbage as their predominant clean fuel source. The country converts everything from household trash to industrial waste into energy, as opposed to simply burying it in landfills. The city has been so keen on converting waste to energy, it quite literally ran out of garbage at one point. The city has since began to import waste from other countries to keep the power on, so to speak. The transportation grid in Oslo has also seen sweeping overhauls in recent years. Like other advanced metropolitan grids, Oslo incorporates asphalt-embedded parking sensors, and officials monitor traffic patterns to predict and avert congestion. The city is also home to arguably the most extensive network of electric vehicle charging stations in the world. Beyond simply encouraging and incentivizing electric vehicles for emission standards, Oslo is also implementing strategies to limit future congestion. By 2019, the city plans to ban all cars from central Oslo. This same legislation calls for the construction of an additional 37 miles of inner city bike lanes by the same date. To further reduce emissions and energy waste, Oslo has developed a robust network of state-of-the-art street lights. Unlike traditional street lights, these units can respond to light conditions and weather forecasts to dim or produce more light as needed. This system uses 650 processing stations connecting more than 65,000 light points. It can be remotely accessed using the internet, allowing officials to adjust these light points via a computer or even a smartphone. This initiative alone has allowed Oslo to reduce its street light energy consumption by 62 percent. The city is also determined to hedge healthcare costs. More than 1,000 elderly individuals benefit from an array of smart systems in their homes. These devices can adjust thermostats, monitor movement, appliance use, and even relay reminders about daily medications. This allows seniors to maintain their independence while cutting down on the overall costs of in-home care. New York City has also looked to capitalize on this wave of smart technological integration. Officials have announced an unprecedented goal of providing high-speed broadband service to the entire city by 2025. By doing so, New York is designing the largest and fastest municipal Wi-Fi network on the planet. 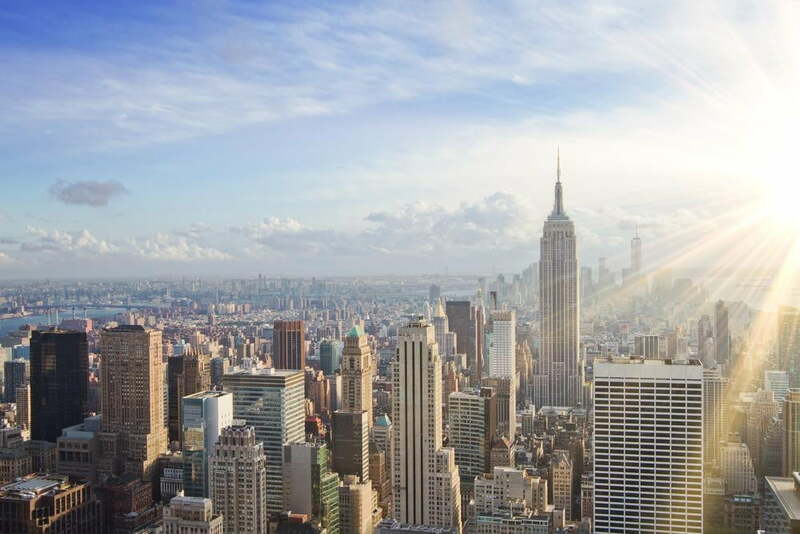 The initiative will deliver internet access at up to gigabit speeds across the five boroughs. If building the fastest Wi-Fi network on earth wasn’t daunting enough, New York City’s Hudson Yards neighborhood has recently partnered with NYU’s Center for Urban Science and Progress to create the United States’ first “quantified community.” The goal is to create nearly 17-million square feet of both commercial and residential space, including a school, 14 acres of public space, as well as a power plant and central waste-management system. Think of it as a microcosm technological testbed. Within this area, officials will be able to monitor data on air quality, traffic, energy production, and energy consumption. This undertaking is currently in development and is set to be completed by around 2025. Another major component of this massive smart city undertaking is the Midtown in Motion project. New York City officials are hoping to refine their often gridlocked roadways with a web of sensors and cameras. Phase one of the program began in July of 2011. This included the addition of 100 microwave sensors, 32 traffic cameras, and E-ZPass readers to gauge speeds along 23 intersections. Early tests illustrated a 10 percent improvement in travel times. These infrastructure upgrades are also hoping to further increase public safety. To combat crime in the area, local police and city planning officials have built an acoustic gunshot-monitoring system to accurately locate any gunshot within mere seconds. Once a shot is fired, an operator then reviews the acoustic fingerprint to eliminate all other possibilities (car exhaust backfire, firework, etc). A nearby officer is then alerted on their smartphone or tablet. Officials believe this should speed up response times and increase the chances of catching these individuals.